where we hope to inspire you with our cards/projects. Our challenges start on a Saturday morning at 9.00 am (GMT) and finish on a Friday morning at 9.00 am (GMT), the day before our new challenge goes live. 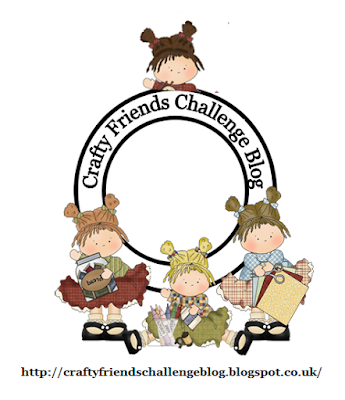 We'd love you to join in our challenges and you can do so by adding a link to your design on your own personal Blog using Inlinkz or by sending us an email (see address below) with a photo attached of your card/project, which we will add to the Challenge Blog. We have two wonderful Design Teams and you can visit their own personal blogs where you will be able to see more of their gorgeous work. All you need to do is click on their photographs which can be found on the left-hand side bar. Please note that sometimes due to life committments, the DT ladies may not be able to visit your blogs and leave a comment on every entry. We hope you understand.